The four academic schools of Wayne State College located on its 128-acre campus offer more than 80 majors and minors in 14 academic departments. Admitted freshmen can apply for the following merit-based scholarships, all of which offer at least a full tuition waiver: the John G. Neihardt Scholars Program, the Presidential Scholarship, the Omaha World Herald Scholarship and the Board of Trustee's Award. The Governor's Opportunity Award offers a half-tuition waiver for admitted first-time students. Under the Nebraska State College System Advantage Program, freshmen who qualify for a federal Pell Grant and who are admitted to Wayne State College do not have to pay tuition. After more than a century of existence, the University of Nebraska Omaha, founded in 1908, has remained committed to the original vision of its founders - to provide a rigorous, relevant and affordable education to its students. Incoming freshmen with outstanding leadership qualities and who have documented financial need can apply for the Phillip Schrager Scholarship Program for Student Leaders, valued at up to $15,000 per year. The University awards five Distinguished Scholarships each year, worth $25,000 to $30,000 over four-years, to the winners of the Distinguished Scholars Competition. The G. Robert Muchemore UNO Scholarship supports graduates of Nebraska high schools who have above average ACT/SAT scores and financial need with a scholarship that is worth $5,000 per year. Northeast Community College in Norfolk, Nebraska was founded in 1973 after Northeastern Nebraska College and Northeast Nebraska Technical College merged. The college provides financial aid to 88% of full-time beginning undergraduates and 30% of these students receive institutional grants or scholarships. Several merit scholarships are available to incoming freshmen, including the full-tuition Board of Governors Scholarship, the half-tuition President's Scholarship and the $500 Dean's Scholarship. Additional scholarship opportunities for undergraduates include the Ambassador Scholarship for freshmen and sophomores, the Student Excellence Scholarship for sophomores and the McIntosh/Davis Chambers Scholarship for freshmen and sophomores. State and federal grants are also available, including the federal Pell Grant, which is awarded to 29% of undergraduate students. Starting out as a normal college in 1867, and the state's only institution for teacher education for the next 38 years, Peru State College is now a fully-accredited state college offering a wide range of programs to all its students. Entering freshmen with excellent academic records are eligible for the following scholarship programs: Board of Trustees Scholarship (full tuition waiver for four-years), Governor's Opportunity Award (half-tuition waiver each year), Chancellor's Scholarship ($3,000 tuition waiver each year), President's Scholarship ($2,000 tuition waiver each year), Dean's I Scholarship ($1,000 tuition waiver each year) and the Dean's II Scholarship ($500 tuition waiver each year). Freshmen who graduate from an eligible high school may be considered for the Cooperating Schools Scholarship (half on-campus tuition waiver). With a 622-acre campus, the University of Nebraska Lincoln is a large public institution where its undergraduates (19,376 as of the 2014-2015 academic year) can choose from over 150 majors. Incoming freshmen who are graduates of Nebraska high schools can apply for the following scholarships: the Davis Scholarship, the Larson Scholarship and the Nebraska Achievement Scholarship. All give awards that can cover up to the full cost of attending UNL for four-years. Out-of-state beginning students with excellent academic records are eligible to apply for the George Beadle Scholarship ($14,000/year), the Ruth Leverton Scholarship ($9,000/year) and the Aaron Douglas Scholarship ($3,500/year). All awards go toward the cost of non-resident tuition. Nebraskans pay substantially less for public higher education than students in most states. For those with need, state financial aid can make school that much more affordable. And the University of Nebraska system and Nebraska State College System are each making school even cheaper through systemwide scholarships. The former offers awards based on both financial need and academic merit, while the latter rewards academic performance through the Board of Trustees’ Scholarships and Governor’s Opportunity Award. You’ll find more information about these and other aid programs below. While covering tuition is important, don’t underestimate the importance of other costs, such as housing, food and transportation. We’ve gone in depth on campus-based initiatives, government social services and nonprofit programs you can tap into, regardless of where you attend. Nebraska does not have a statewide transfer policy. However, there is a transfer initiative that is widely accepted in the state. This voluntary agreement is used at nearly all public colleges and universities in Nebraska, and it offers seamless transfer of common core curriculum and associate degrees between participating institutions. The Nebraska Transfer Initiative offers a 34-credit common core curriculum that is designed to transfer among public education institutions within Nebraska. However, it is important to note that the initiative is voluntary, and some Nebraska institutions may not participate. Plus, some institutions may require students to complete additional institution-wide general education requirements if they are not included in the transferable core. Included in the transfer initiative is associate degree transfer. Students who have completed an associate degree will be able to have credits earned in pursuit of that degree applied to a four-year program. However, as the initiative is voluntary, this may not apply statewide, as some institutions do not participate. In this case, individual articulation agreements will apply. 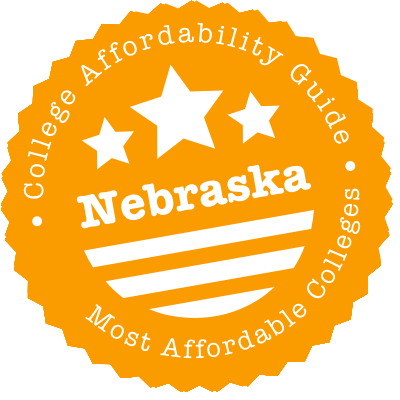 If it’s financial aid you’re after, the website you want is Nebraska’s Coordinating Commission for Postsecondary Education, which explains the four grant and scholarship programs the state has designed to make college affordable for everyone. The site will connect you to individual applications and the Free Application for Federal Student Aid (FAFSA). If you already know you’ll be heading to a state college, see if you qualify for one of that system’s two merit scholarships. Similarly, the state’s university system has its own financial aid and scholarship program that can be used at any of its campuses. There are outside scholarships to be had as well, of course. Find them by going to Nebraska Community Foundation and searching by field of interest for scholarships in three areas: postsecondary and adult education, traditional scholarships, and nontraditional scholarships. EducationQuest Foundation also has a scholarship search tool along with advice on getting financially ready for college, whether you’re starting out in eighth grade or at the age of 80. One way it can help is by guiding you through the FAFSA completion process. If you’re not ready today but want to start gearing up (perhaps so you can enroll at 80), a cheap financial option is to set up a NEST 529 College Savings account and earn compound interest on whatever you stash away. Summary: You can enroll in a not-for-credit program and still receive funds if the training you receive leads to credentials in an in-demand occupation. Eligibility: You must be attending an eligible program at one of the six Nebraska community colleges and have financial need. How to Apply: Submit an application to your community college. Summary: NOG gave out over $16 million for the 2014-15 school year to qualifying students attending any school of higher education (private and public, proprietary and nonprofit, four-year and two-year) in Nebraska. Eligibility: You must be a Nebraska resident to qualify and have an Expected Family Contribution within a specified range. To find out if you’re in that range, you’ll have to complete the FAFSA. How to Apply: Submit the FAFSA, and check to see if your school requires a separate application. Summary: Get your college tuition and fees paid for while you’re still in high school by entering a dual-enrollment or early enrollment program at a participating Nebraska college. Eligibility: Funding is based on need, and the state will distribute funds if your family is eligible for any of the following: Free or Reduced Price Lunch Program, Supplemental Security Income, Temporary Assistance to Needy Families (TANF), Supplemental Nutrition Assistance Program (SNAP) or Special Supplemental Assistance Program (WIC). How to Apply: Register for an online account with the Nebraska Enterprise Content Management Portal. After you do, you’ll be able to submit an application. Summary: If you’re going to one of the three schools in the Nebraska State College System, you may not have to pay tuition. Just notch a 25 on the ACT or 1700 on the SAT and get accepted, which shouldn’t be a problem with those scores. Eligibility: You must be a Nebraska high school graduate. How to Apply: If you’re going to Peru State College, there’s no need to do anything after applying. If you’re attending Chadron State or Wayne State, you’ll need to fill out a general scholarship application, which will also put you in the running for awards specific to each of those schools. Summary: Didn’t score quite high enough on the ACT or SAT to snag the Board of Trustees’ Scholarship? With a 21 on the ACT or a 1500 on the SAT you can still get half of your tuition covered for four years at any school in the Nebraska State College System. How to Apply: If you’re going to Peru State College, just apply for admission. If you’re attending Chadron State or Wayne State, submit a general scholarship application. Summary: If one of your parents graduated from the Nebraska university system but you were raised outside the Cornhusker State, you can still get in-state tuition. Eligibility: There are two ways to qualify for in-state tuition: graduate in the 67th percentile of your high school class or score a 24 on the ACT (or the equivalent on the SAT). How to Apply: Contact your school’s financial aid office. You’ll be expected to show proof of a parent alumnus. Summary: The Regents Scholarship is aimed at high school graduates from inside the state. It’s worth the full price of tuition for four years. Eligibility: Each school uses different numbers to decide who to give the scholarship to. At the University of Nebraska at Omaha, for instance, net 30 on the ACT and either record a 3.5 high school GPA or rank above the 75th percentile in your class to qualify. At the Kearney campus, you’ll have to do a bit better. How to Apply: Just apply for admission. The school will calculate your award automatically. Summary: Get $3,000 for a teacher education program at either the undergraduate or graduate level for up to five years. Then, have it forgiven year by year once you’ve taught in the state for more than two years. Get it forgiven faster by pledging to work in schools serving rural or impoverished populations. Eligibility: There are a number of requirements: First, you must be a Nebraska resident who is majoring in a teacher shortage area at a Nebraska college or university. You have to be enrolled full time and enter the program with a 3.0 GPA (or a standing in the 75th percentile of your high school class). You’ve then got five years to complete the program before you earn your certification and endorsement in that teacher shortage area. Finally, you have to get a job at a Nebraska school. How to Apply: Contact the teacher education department at your college to get an application, which comes out in the fall. Summary: Go to graduate school and get a state-prioritized endorsement or degree to earn a $3,000-per-year loan. It will be forgiven at an annual rate of $1,500 a year after you’ve been teaching in the state for three years. If you need it to be repaid faster, you can teach in a very sparse district or low-income school. Eligibility: You have to already be a Nebraska resident and certified teacher working in the state. To qualify, you must typically be earning a degree or additional endorsement in a teaching shortage area, though other graduate programs for teachers are also eligible. How to Apply: Contact your school’s education department for application materials. Summary: If you earned an advanced degree in a healthcare field, odds are you can get your federal or private loans forgiven. Those in fields requiring PhDs can get up to $60,000 a year toward their school debts, and all others can get half that. Eligibility: You have to work for three years in a shortage area in a practice that accepts Medicaid. This is a matching program, so the place that hires you must agree to put up funds; whatever the practice agrees to (up to $30,000), will be matched by the state. How to Apply: Find the most recent application at the Nebraska Office of Rural Health. Your employer must fill out an Application for Community Participation. Summary: Anyone already in a healthcare program — or in the process of enrolling — can also get forgivable loans by agreeing to practice in a shortage area afterward. PhD-level studies qualify you for up to $120,000 over four years, and master’s students are eligible for $60,000 over two. Eligibility: You’ll have to follow through with your agreement for three years in a Nebraska shortage area. There are also limits to what you can specialize in. How to Apply: Apply through the Nebraska Office of Rural Health between April 1st and June 1st. Summary: Two hundred reservists each year get 50% off tuition at a public college or university. You can be one of them. Eligibility: Nebraska residents in a Nebraska unit are eligible, provided they have at least two years of service left. But you can’t have served in the armed forces for more than a decade. How to Apply: Submit an application to the Nebraska Department of Veterans’ Affairs. Your commanding officer will have to sign it. Summary: Children or spouses of veterans who have been killed or disabled while serving their country can apply for free tuition to an undergraduate program at any public college or university in Nebraska. Eligibility: The eligibility period for children and stepchildren ends at the age of 26. Spouses are eligible as long as they are still married to the veteran. How to Apply: Once you’re accepted into a program, you’ll need to grab proof of relationship to the veteran (e.g., birth certificate) and other documentation before applying with the Nebraska Department of Veterans’ Affairs. Summary: Planning on attending any of the four campuses that make up the Nebraska university system? You may get free undergraduate tuition by virtue of Pell Grant eligibility. Eligibility: You must be a Nebraska resident enrolled full time at a Nebraska public university. If the FAFSA shows you’re eligible for a Pell Grant based on family income, you qualify. To maintain the award, you’ll need a 2.5 GPA. How to Apply: Do two things: Get accepted, and submit the FAFSA between January 1st and April 1st. Funds can run out, so file early. Summary: As a Nebraska resident, you can pay reduced tuition at public and private schools in Illinois, Indiana, Kansas, Michigan, Minnesota, Missouri, North Dakota and Wisconsin. Private colleges give a 10% discount, and public colleges cap tuition at 150% of the in-state rate. Eligibility: Campuses have the right to set their own guidelines, which are sometimes limited to certain majors. In general, though, you just have to be a resident attending a participating school. How to Apply: When you apply, make it known that you’re an MSEP student. The Nebraska Department of Health and Human Services runs most of the state programs designed to help those having trouble paying for life’s essentials. On the health side of things, it can connect you to Medicaid to get you and/or your kids affordable healthcare. Likewise, you can find cheap mental health services if you struggle with depression. On the human services side, you can get a child care subsidy or be enrolled in the Supplemental Nutritional Assistance Program, which puts grocery money in your pocket. There’s truly a wide variety of programs, so make the DHHS your first stopping point. However, if you find the site overwhelming due to the abundance of information, go to your local community action agency. Each agency has trained staff who can listen to your situation and link you to programs that meet your needs. When applying, keep in mind that you don’t always have a choice about whether to live on campus. Peru State College students, for instance, must live in a residence hall for the first two years unless they are living with their parents or have their own family. That means you’ll need to take a close look at school policies and run some numbers to see what campus living might cost after your aid package comes through. Most college websites feature a net price calculator in their financial aid section. Here’s the one for Central Community College. If you’re planning on free housing, you may have to work for it. One of the most common ways is by becoming a resident assistant, but if you decide to become an orientation leader at University of Nebraska-Lincoln, for instance, you’ll get a free room and meals for two months during the summer. That doesn’t help much for the academic year, when you may have to rely on financial aid to get through. If you’re an undocumented immigrant, however, the College of St. Mary has a full scholarship, including room and board, just for you. UNO and UNK are both working on similar awards. If you don’t fall into that category, consider looking at on-campus housing costs from a different perspective. One reason some students choose to live off campus is that they can’t find a place to stay cheaply during the summer and winter breaks without signing a year lease. University of Nebraska at Omaha settles that problem by primarily using full-year housing contracts. Nebraska is the only state in which electricity utilities are completely owned by the public, meaning they are nonprofit. However, Nebraska ranks seventh in per-capita energy consumption, offsetting potential savings. If you live off campus and are getting nervous just looking at your electricity or gas bill, you might qualify for government assistance, assuming you make less than the allowable income. The Nebraska Low Income Energy Assistance Program (LIHEAP) focuses on subsidizing heating costs in the winter, but those with young children or a medical condition can also qualify for cooling subsidies in the summer. Then again, your bills might be lower if you just had better insulation or windows, so take a look at the Low Income Weatherization Assistance Program. Again, there are income restrictions, but eligible residents will have a technician fix their home’s problem areas for free, resulting in a lower monthly bill. If you don’t qualify, look at your utility company’s website. Most likely, it has a section on cutting costs, as explained here by the Nebraska Power Association. Nebraska Public Power District, which provides electricity to 600,000 Nebraskans, has 10 calculators for forecasting how much your bill might be, depending on, for instance, what temperature your water heater is set to. University of Nebraska Medical Center runs healthcare clinics, including in the dental and mental health realms. Most are clustered around Omaha, but there are a few elsewhere in the state. Of those, circle the dental clinic as the most likely place to grab big savings — it charges lower rates because students work on your teeth, though a professional is always on hand. Find more cheap and free clinics at the Nebraska Dental Health Division. Not in Omaha but need healthcare? No worries — odds are, your campus has a health center with cheap rates. Wayne State College’s student health office has a mixture of paid and unpaid services. Essentially, seeing a nurse or physician’s assistant (PA) is free, as are any over-the-counter medications, while labs, X-rays and prescriptions cost money. Northeast Community College has similar services. And most schools, including Mid-Plains Community College, have free counseling, even if they don’t advertise a campus health clinic. For serious issues, the counseling center might refer you to outside treatment, at which point you can look into clinics in your area. If you’re underinsured or uninsured and just need vaccinations to attend college, you might be able to get them for free. Call a provider listed in the State of Nebraska Immunization Clinic Directory. But if you’re already sick and don’t want to use the campus clinic, try FreeClinicDirectory.org. The starting point of your child care search should be the college you’re attending. That’s because many colleges have early childhood education programs, meaning your child will receive care and instruction based on the most recent research and pedagogies. There are variations to what’s on offer: weekly rates vary and age limits might be anything from two to nine or zero to 13. Each of the colleges in the Nebraska university system has a child care center with student discounts: UNL Children’s Center, UNO Child Care Center and UNK Child Development Center. State colleges also recognize the importance of child care for students — just look at Charon State’s Child Development Center Laboratory or Peru Day Care. If you can’t get your kids into campus-based child care, leaf through the provider directory at the Nebraska Department of Health and Human Services. At most child care centers, you can bring the cost down further by qualifying for the Child Care Subsidy Program. Apply here. Each college has a transportation program, which is usually advertised on its website. Depending on where you attend, though, you may end up peddling a bike or lounging in a bus. Hastings College pushes the former, letting students borrow bicycles and zoom around campus and town with its Bronco Bikes program. UNL has something much bigger. Its buses crisscross Lincoln to shuttle students around its three campuses. You need a pass, the cost of which is automatically covered by student fees. Likewise, UNO students can get around Omaha for free via the MavRIDE program on Omaha Metro. They can also take campus-based shuttles to and from the parking lot to classes. Kool-Aid may be the official soft drink of Nebraska, but you shouldn’t be substituting it for meals. Colleges across the state recognize hunger as a problem affecting many students. Some of them have even set up food pantries, including University of Nebraska at Omaha’s Maverick Food Pantry and University of Nebraska-Lincoln’s OpeN Shelf. If that’s not an option on your campus, you can find a food pantry off of it at Food Bank for the Heartland. One place you can go that will definitely be there is a WIC clinic, where you can get free groceries for you and your baby. Surf to the Nebraska Department of Health and Human Services for details. Then apply here. Warren Buffett is Omaha’s most famous denizen, but the third-richest person in America doesn’t mind living in this low-key city with a reasonable cost of living. here’s plenty of space, so there are lots of houses on the market to rent or buy at an affordable price. Gas prices also trend below the national average, but not as much. That hardly matters for University of Nebraska at Omaha students, who can take their transportation costs to $0 by using Omaha Metro for free. They, along with enrollees at Omaha’s other colleges, including Creighton University and Metropolitan Community College, may also want to avail themselves of the medical and dental clinics run out of University of Nebraska Medical Center. Speaking of MCC, if you’re planning to go there, Avenue Scholars can prepare you academically and financially. College Possible Omaha has a presence in eight area high schools. Its mission is to get low-income students into college by helping them raise their standardized test scores, apply for admission, and snag financial aid. Eastern Nebraska Community Action Partnership is about connecting people without much money with the resources they need. The primary way it does this is through its emergency assistance program, which provides support via utility bill payments or food distribution at its pantry. Heartland Family Service has too many programs to mention but include mental health counseling and hardship assistance for people who need food, utilities, clothing or other essentials to make it through an unforeseen crisis. Omaha Housing Authority oversees the government’s housing voucher program, through which low-income residents can rent apartments and houses that would otherwise be out of their price range. It also owns properties at a dozen other locations in the city. One advantage of being in an OHA program is eligibility for a college scholarship and access to GED classes and after-school programs for youth. There’s more out there. United Way of the Midlands can help you connect with other social services in Omaha. With a low cost of living, Lincoln is the type of town you may want to stay in after you graduate, especially if you like football. Though it’s best known as the home to the University of Nebraska’s main campus and the five-time national champion Cornhuskers, Lincoln also makes room for two smaller private colleges — Union College and Nebraska Wesleyan University — as well as Southeast Community College. Students at any of these colleges will appreciate the affordable rental rates. UNL students can also get around the capital on school-run buses, saving money on transportation. Community Action Partnership for Lancaster and Saunders Counties does just about everything it can to help low-income folks. It maintains Head Start centers for kids, provides individualized financial literacy training for adults, matches education savings through the Individual Development Account program, prepares taxes for free, gives housing tax credits through the Lincoln Action Program Housing Development Corporation, mediates disagreements between tenants and landlords, and even finds time to dish up hot meals five nights a week at The Gathering Place. Lancaster County General Assistance Office is the primary portal to accessing government programs for low-income residents. This includes the primary care and mental health services at the county health department and the Lancaster County Community Mental Health Center, respectively, food assistance through SNAP, and rent and utility subsidies. Lincoln Community Foundation publishes 50+ scholarships each January for students from Lancaster County. Hop on and apply in the first half of the year before they disappear. People’s Health Center caters to people who are avoiding the doctor’s office or dentist’s chair because they’re more worried about the bill than their health. The center accepts Medicaid and also uses a sliding scale that charges you an amount based on what you can afford. To get a comprehensive look at the nonprofit and government organizations offering social services to Lincoln students and their families, turn to the community resource guide put out every year by the Center for People in Need. Bellevue, which you can see from Omaha on a clear day, comes with mostly the same cheap amenities one gets from its better-known neighbor. Students at the eponymously named Bellevue University will therefore benefit from cheap housing, though rent in Bellevue is usually a little higher, which opens up the possibility of living in Omaha proper. That might mean using the Omaha Metro to get back to campus, but Bellevue doesn’t have an arrangement with the public transportation system, so you’ll have to pay for the privilege. Sarpy County Human Services runs a general assistance program. Essentially, if you qualify based on income, it can step in to pay your utility bill, give you a voucher for groceries, or cover your rent for a few months. Southeast Nebraska Community Action Partnership is entrusted with being the local face of government grant programs. It runs Head Start centers for preschoolers, administers the state’s weatherization program, teaches financial literacy, and runs a food pantry for people in fiscal emergencies, just to name a few services. There’s more in the Omaha area generally and Bellevue specifically. See what’s on tap at United Way of the Midlands.